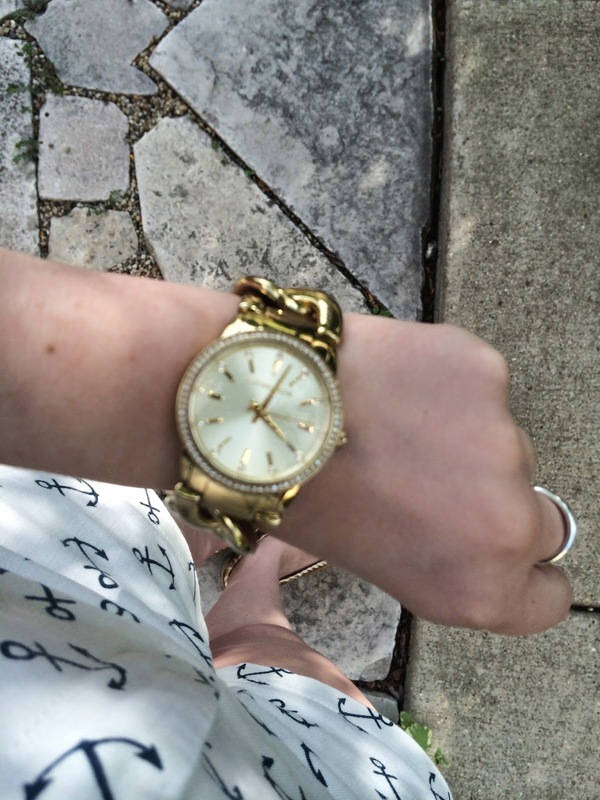 For this look I took a vintage spin on the nautical trend. By adding the headband it kind of gave it a vintage pin-up girl vibe. Which I kind of love! 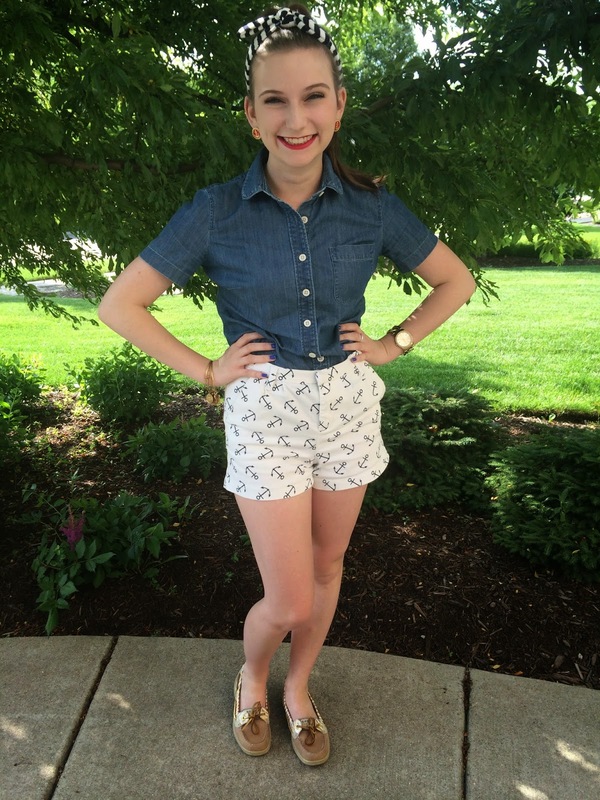 To create this look I paired my favorite anchor shorts with a simple denim shirt. 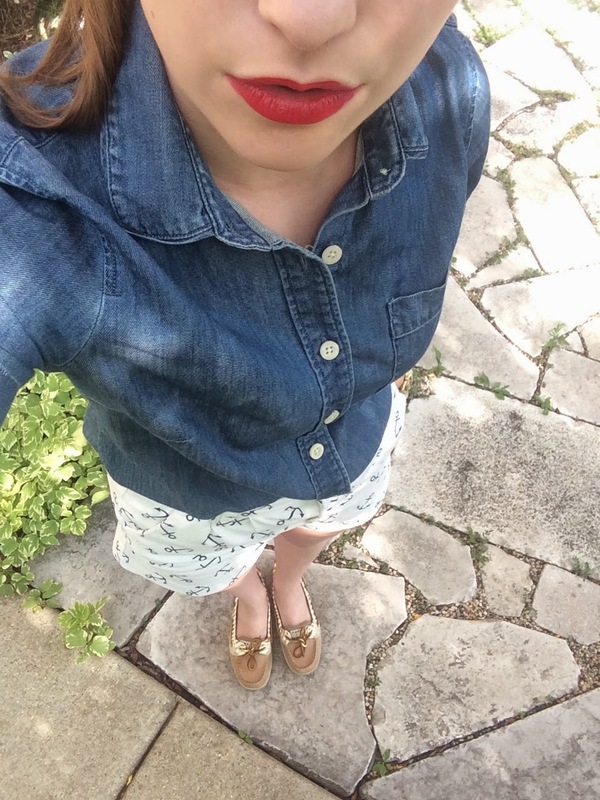 I have worn this denim shirt a bunch this summer and I am in love! You can pair it with practically anything which makes it super versatile. 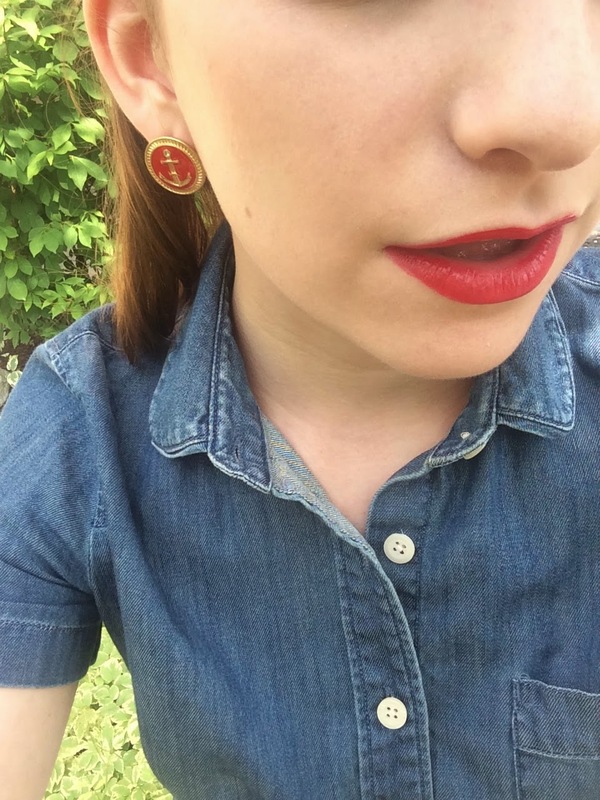 Also, I added a splash of red with both my lipstick and my earrings. 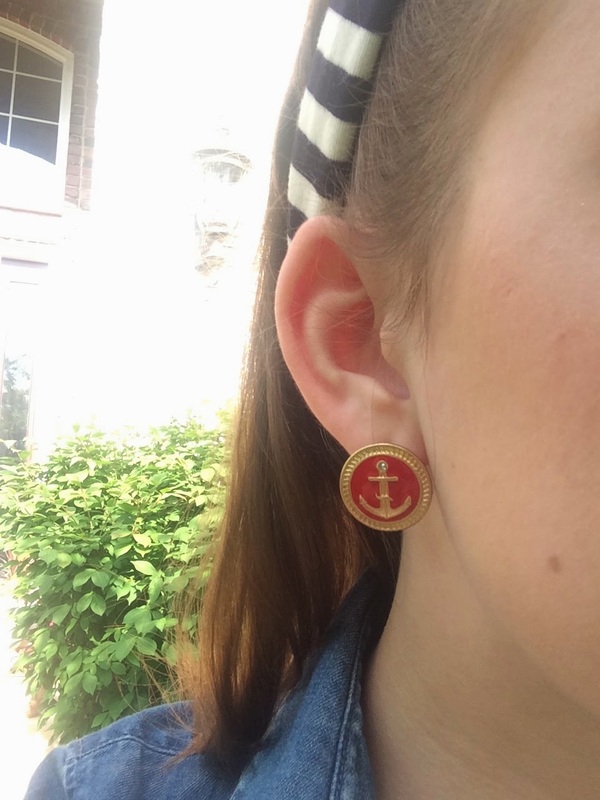 I love these earrings because they have a small anchor detail which ties in the whole look. 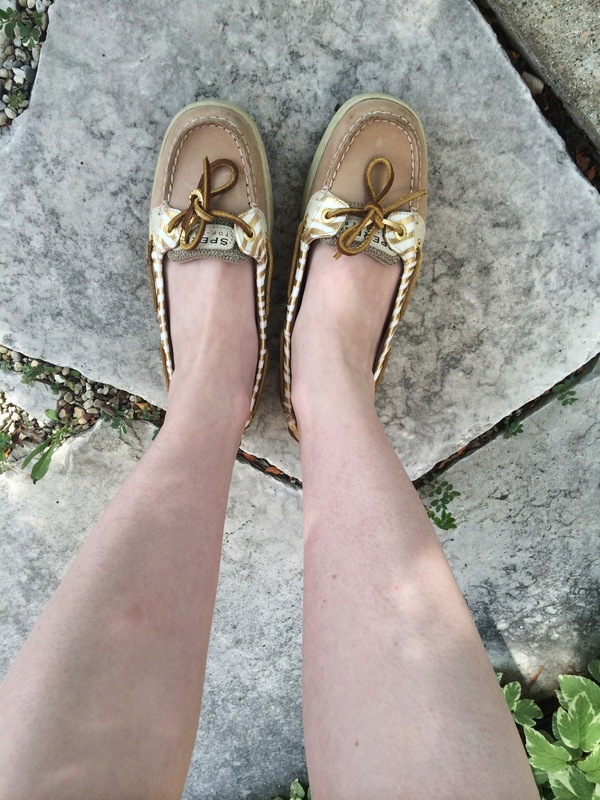 For shoes I kept things simple with my angelfish Sperry Top-Siders. They add an extra touch of nautical to the look. These earrings are super adorable! 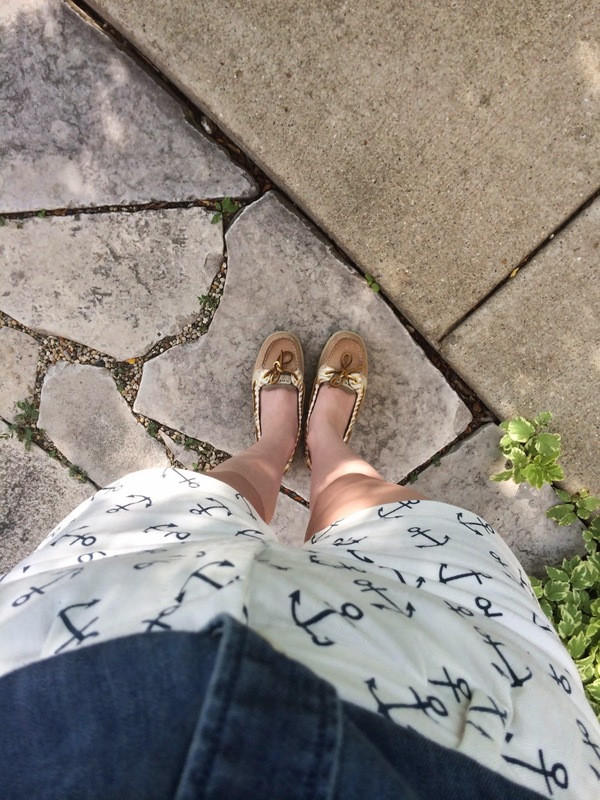 I have a severe anchor addiction I have to admit. I love wearing a bold red lip! Its great to add a pop of color to a neutral look. 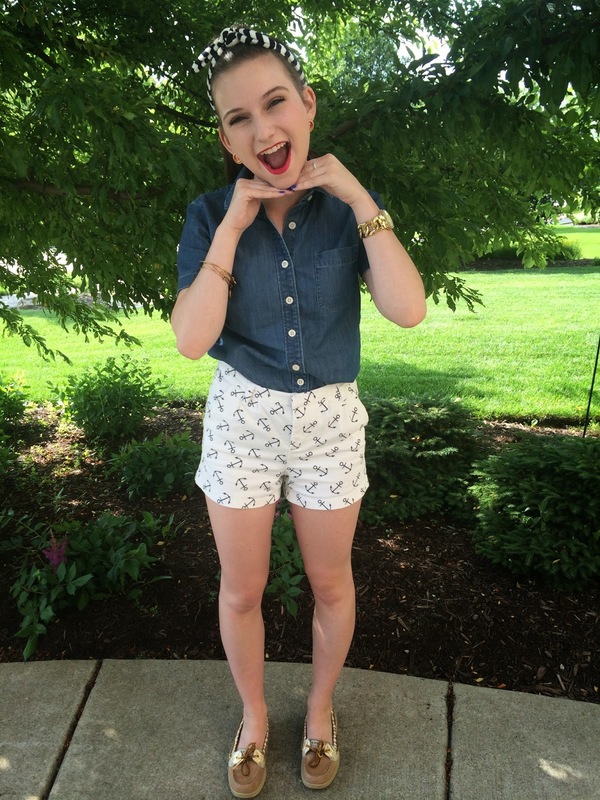 Those shorts are seriously the cutest!! 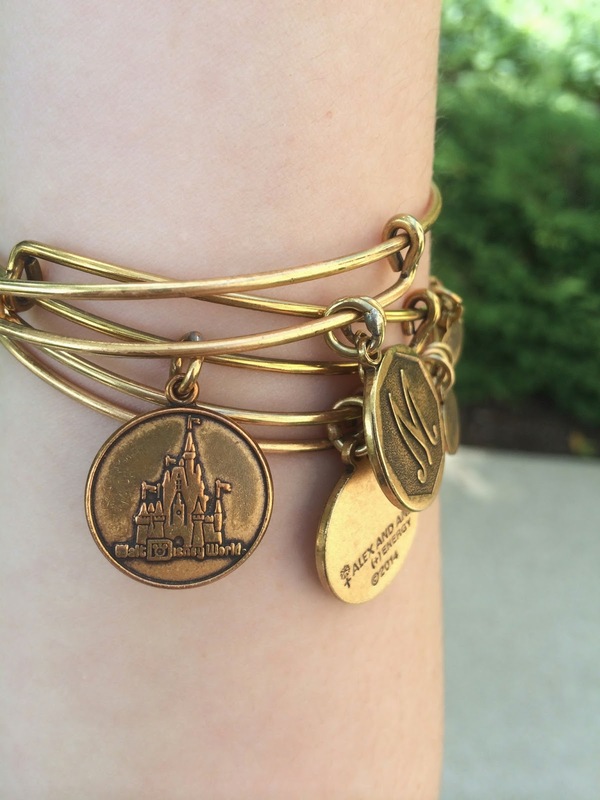 And I love the Alex and Ani bracelets! Really cute girly! Your Sperrys are SO CUTE! Oh my goodness I cannot get over them! I love the headband too! Your blog is adorable! This is THE most adorable outfit! 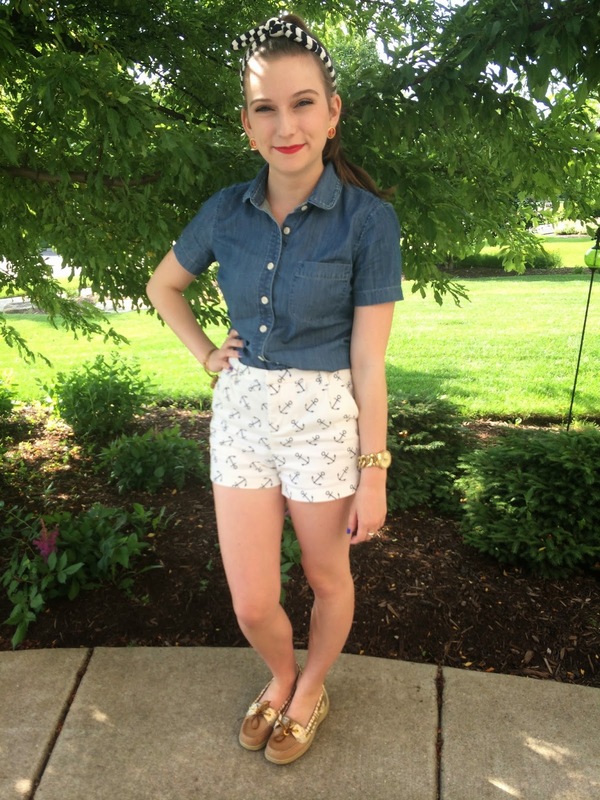 I have similar earrings, but adore those shorts. And red lipstick is a must! Back to College: 5 bags you need to bring! Henri Bendel Flash Sale! What??? Follow Me Around: Andy Grammer Concert!